All following well along their growth curves! Audrey walked across the carpet by herself on Sept. 6 (last Thursday)! She continues to take hesitant steps a few times a day. Jamie rarely crawls now, and has been seen attempting to run. They are all good at waving now. Audrey waves with her hand pointed straight out, fingers bending down toward the floor and straight again. Theresa does the open-close-fist wave. Jamie’s whole arm wiggles. Theresa is really good at giving people things. She likes handing me or Alan a toy, or book, or piece of food, or whatever. Usually the game is that we say and sign “Thank you!” and hand it back to her. 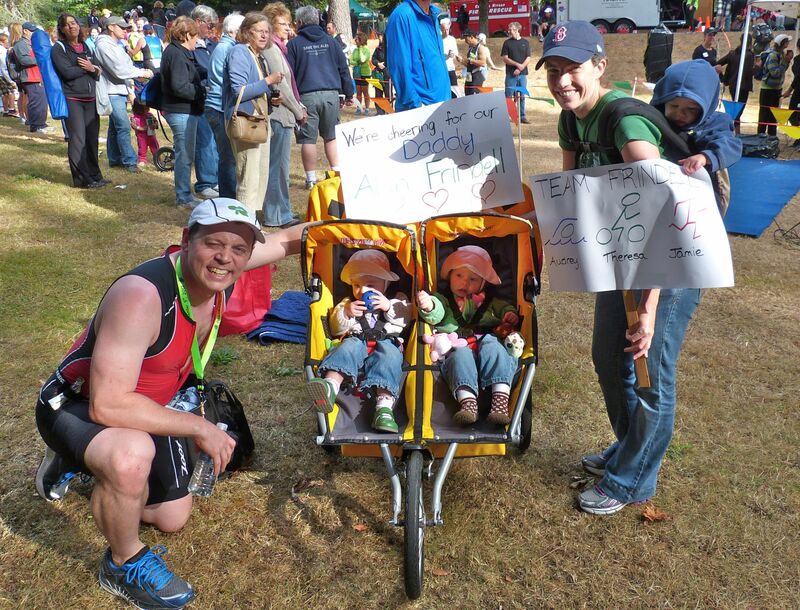 We are all proud of Daddy for completing his triathlon of 2012! We were a little late and missed his swim and first transition (why do babies only sleep in past all reasonable expectations when we have a designated time to be somewhere? ), but cheered for the end of his bike race and the run finish. So big!! Love all the new stats – they really are growing quickly! 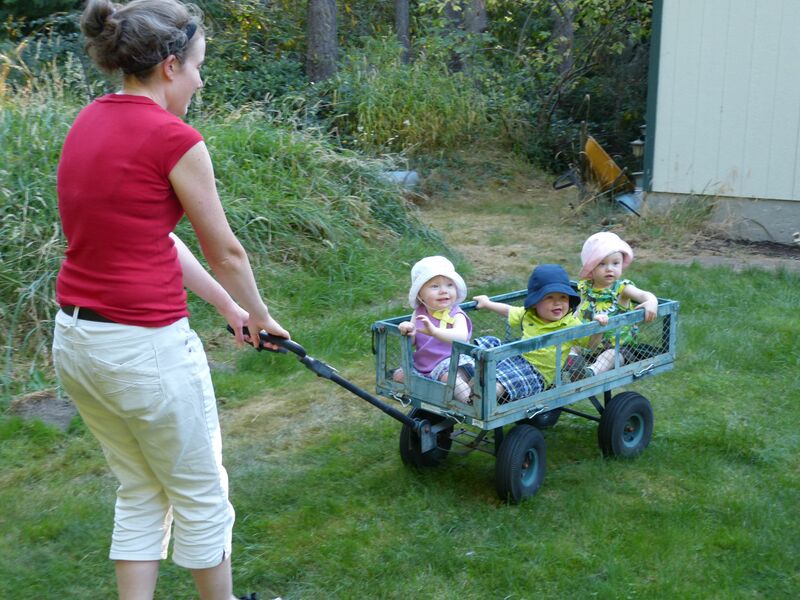 We love the picture in Grandpa’s wagon – happy babies! Amazed at all the new things they’re learning and doing – definitely gifted and talented! Tell Alan we’re so proud of him! Love to all; miss all of you sooo much!